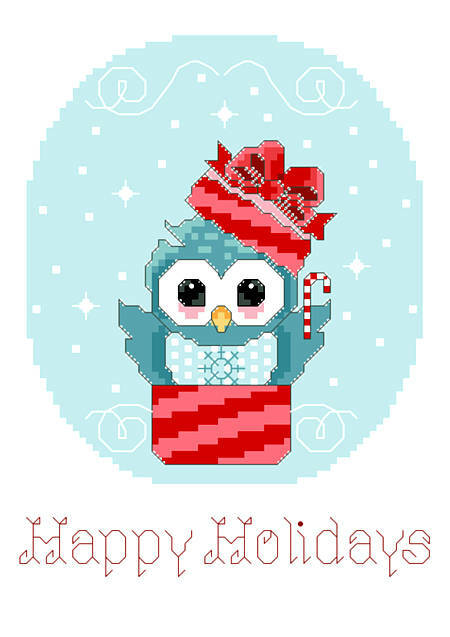 Whoooo doesn't love the holidays? We sure do, so we created new adorable owl designs for you! This festive little owl is sure to put a smile on your face, and will make a great Christmas present! Contents: Stitch 62w X 82h on 14 ct, finished size 5" X 7"